Last year five Native American tribes in Washington state managed to repatriate the remains of the “Ancient One,” as they called him, or “Kennewick Man,” as scientists called him. For the tribes, the Ancient One is to be revered as a human ancestor. But for the scientists, the rare specimen of a 9,000-year-old Kennewick Man was important to understanding the history of North America. After a 20-year court battle, the tribes finally reburied the Ancient One. However, this could be done only after scientists had created his multi-dimensional model for future study. For a long time, the relationship between Native Americans and scientists has been a contentious one. It would appear from this case that what matters most to Native Americans are religious beliefs and not science. While this might be the case with human remains, which are a sensitive issue with most tribes, scientific endeavors are very important to Native Americans. That is why indigenous scientists and scholars including myself are supporting the March for Science this Saturday, April 22. Scientists began thinking and writing about how Native Americans understand the natural world in the 20th century. Instead of seeing a conflict between Western science and Native American knowledge, they started thinking about ways to learn how Native Americans addressed environmental and ecological issues differently. He provided his own research as an example. He stated that the Native Americans he worked with knew far more than he did about aquatic ecological systems, even though he had academic training. He noted their knowledge was both scientific and viewed through a religious lens. 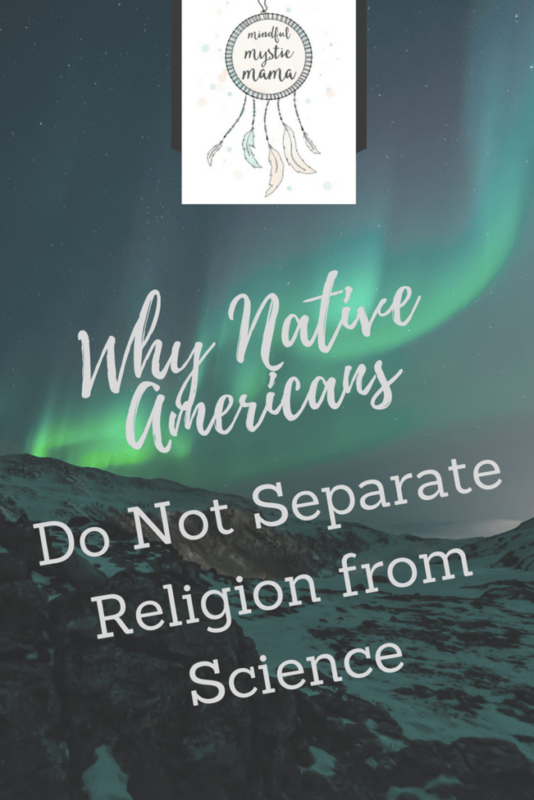 Native American scholars are now writing about this blending of science and religion. Native American scientist Robin Kimmerer, for example, tells her story as a trained botanist learning about Native American worldview in her book “Braiding Sweetgrass: Indigenous Wisdom, Scientific Knowledge and the Teachings of Plants.” She describes how she learned words in her native language, Anishinaabe, that explained biological processes better than Western science could in English. As a Native American scholar, I, too, have spent the past year at the intersection of science and religion at Harvard Divinity School, researching “ethnobotany” and “ethnopharmacology” – the scientific study of the medicinal qualities of plants and Native American belief. I learned from my grandmother, Annie Mad Plume Wall, who was regarded as a “doctor” on the Blackfeet reservation in Montana, that certain plants were medicine. She understood the ethnopharmacology of plants that were used as analgesics, antibacterials or anti-inflammatory agents. She knew which plants to use when one of her patients was ill. The knowledge of the medicinal qualities of these plants clearly grew out of a process of observation and experimentation. She learned how to distill the essential elements of a plant to create an extract of its medicinal properties. In fact, her refrigerator was filled with bottles of extracts. However, some of these plants also had mythological stories that spoke of their origin in the supernatural realm. These stories instructed the Blackfeet how to communicate with the plant, to care for it, how to protect its ecosystem, restrict knowledge of the plant and its over-harvesting. My grandmother believed that a powerful supernatural being, “Ko’komíki’somm,” gave humans certain plants to use as medicine. She also understood, based on their scientific properties, that a plant was indeed a medicine. It is true that Western science and Native Americans have a complicated history, as the struggle over the Ancient One attests. Anthropologist Chip Colwell discusses in “Plundered Skulls and Stolen Spirits: Inside the Fight to Reclaim Native America’s Culture” that the problem is that the items scientists consider “objects” for study, such as human remains, Native Americans would view through their own worldview, their own belief system. More recently, there has been a better recognition of the role of indigenous sciences. In 2016, a U.S.-Canada joint statement on Climate, Energy, and Arctic Leadership recognized the importance of both Western science and indigenous science to help solve global issues. It urged that both “science-based approaches” and “indigenous science and traditional knowledge” be incorporated in efforts to both address commercial interests in the Arctic, such as oil and gas development and shipping lanes, and protect the Arctic and its people. For many Native Americans, like my grandmother, myth and medicine, religion and science, are not viewed as separate, but are interwoven into the fabric of our lives.